Located about 30 minutes from San Francisco and San Jose, this upscale pub emphasizes the use of local artisanal and organic ingredients, including produce cultivated at the restaurant’s partner farm in the nearby Santa Cruz Mountains. The seasonal menus feature contemporary dishes such as duck leg confit with turnips, cabbage and quince, cauliflower and Meyer lemon risotto with crispy pancetta and capers. Diners craving more traditional pub fare will find burgers, steaks and fries as well. 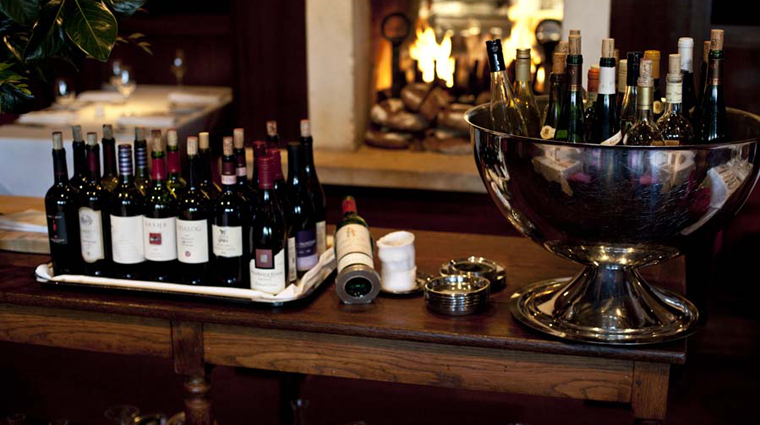 The ample wine list includes a number of reasonably priced selections along with half-bottles and a variety of by-the-glass options. Russia-born and New York-trained executive chef Dmitry Elperin’s approach to French- and Mediterranean-inspired American dishes is contemporary, creative, and thanks to a partnership with nearby organic farm SMIP Ranch, chic. The Village Pub is located about 33 miles south of San Francisco in the town of Woodside. This Four-Star restaurant makes a convincing case for traveling just beyond the perimeters of one of the nation’s premiere dining cities for something extra special. Vegetarians won’t feel left out at this Woodside, California eatery—a vegetable tasting menu featuring produce from SMIP Ranch in the Santa Cruz Mountains is available upon request. The Village Pub is open for lunch, dinner and Sunday brunch. Lunch is served at the Four-Star California restaurant Monday to Friday from 11:30 a.m. to 2:30 p.m., dinner is offered nightly from 5 to 10 p.m. and Sunday brunch is available from 10 a.m. until 2 p.m.
Officially the dress code is business casual, so jeans will suffice. But that shouldn’t deter you from pulling out a blazer and tie or a nice dress for some special occasion dining at the Four-Star California restaurant. 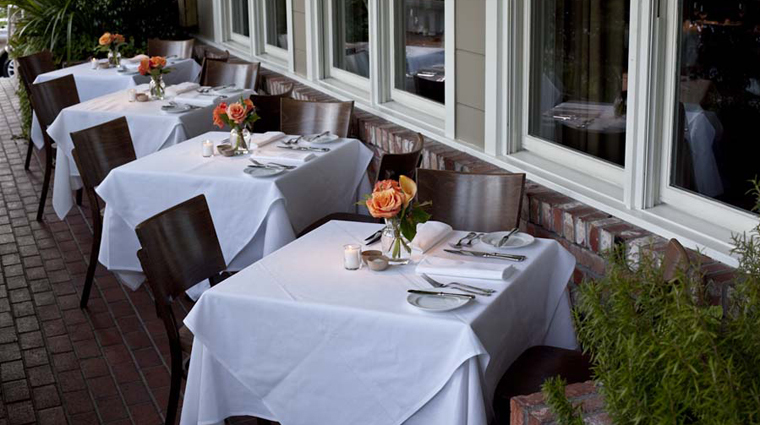 To get a reservation at the Village Pub, you can call the restaurant directly or go to OpenTable.com. 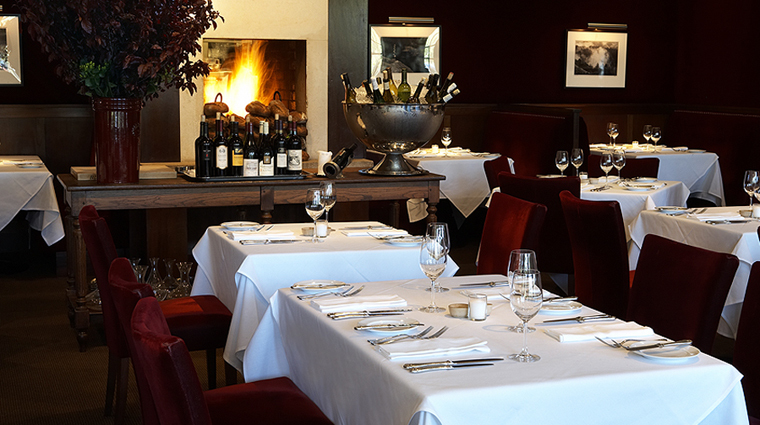 If you have an upcoming event in the works, you can also book the Four-Star California restaurant for private dining. During lunch at The Village Pub, you might dig into entrées like boneless pork ribs with cranberry bean polenta and desserts such as a chocolate and sour cherry bread pudding with coffee pecan crunch ice cream. The restaurant also features the Pub menu that’s available Monday to Friday from 11:30 a.m. until 10 p.m. Pub delights include steak frites, white bean cassoulet and grilled blood sausage. Dinner offers up dishes like seared duck breast and foie gras, grilled pork loin with pastrami spiced roulade, crispy veal sweetbreads with poached lobster. There’s also a vegetable tasting menu that features produce from SMIP Ranch in the Santa Cruz Mountains. Head to the Village Pub on Sundays for brunch and indulge in some heirloom apple pancakes or sautéed shrimp with grits and aged cheddar.